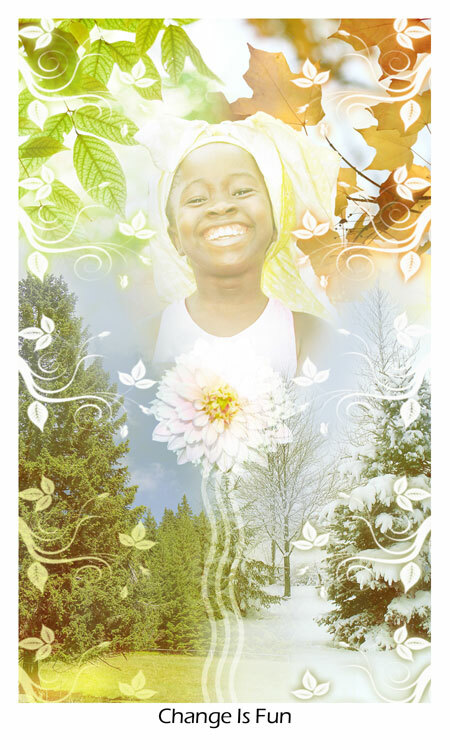 The Vibrational Earth Children Oracle Deck offers children from 8 years upwards, the opportunity to discover the connection of positive messages & guidance. 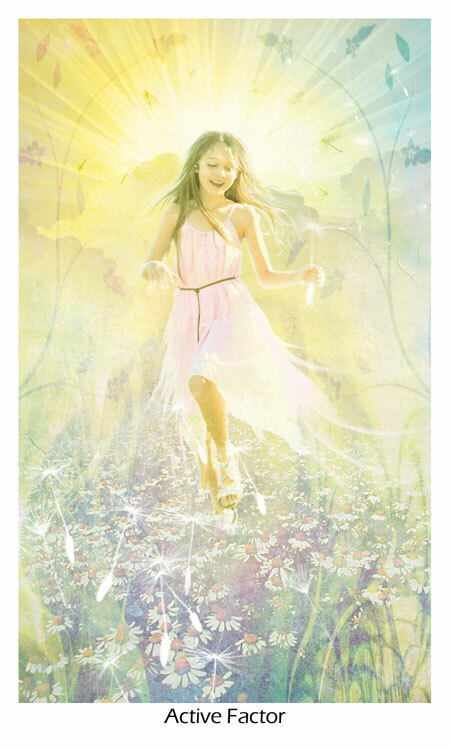 The deck offers enchanting images and simple meanings and is non-denominational, providing a positive approach in a caring way. Each card has a message and is ideal for children to use alone or with adult interaction. It is accompanied with a guidebook that provides safe & positive messages for children to learn in an uplifting way. Included are 52 cards (size: 3" x 5") and an interpretation & layout guidebook by author Debbie A. Anderson. Artwork and Illustrations are done by artist Kim Dreyer. Click Here find out how you can make a difference. Before purchasing online, check to see if there is a store near you! Currently the deck is available at select retail stores in Canada, US & Australia. ​Find out how your purchase can make a difference! Find the deck in the Rebate Zone Holiday Gift Guide!! The more you move and play the more alert and well you feel. Being energetic is a good thing. It is the vibration of play and being in your own body so you get to understand and love it. The more you play each day helps your body grow and become strong. It is the opportunity to experience what you see and hear. Create new games and share them with everyone so they can be part of your world too. Vibrational Earth Children love to play and are keen to perform exercise activities. Sometimes we need help from others when doing certain things in life. This could also be direction on how to tackle particular situations. When you ask an adult for help, you are showing them how responsible and grownup you are. It is okay to ask for help from anyone, no matter how old or wise they seem. None of us know everything, so by asking others it helps us to expand our knowledge. 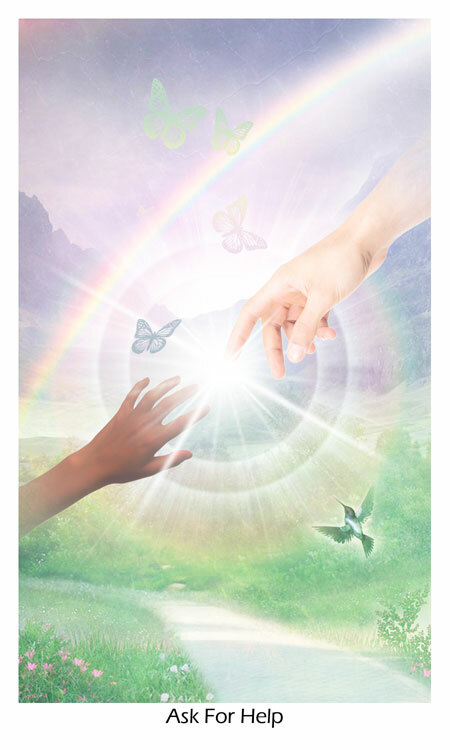 Vibrational Earth Children openly ask for assistance because they know others can help them. Always remember you are safe and secure. Whatever changes happen in your world, try to keep yourself positive. Sometimes change can be very difficult to accept and understand. In these cases you need to maintain a good attitude and overcome the obstacles that are handed to you. Ask an adult if you are concerned. Encourage yourself to see the wonderful opportunities this change might bring. Vibrational Earth Children expand and transform by adapting to their world.